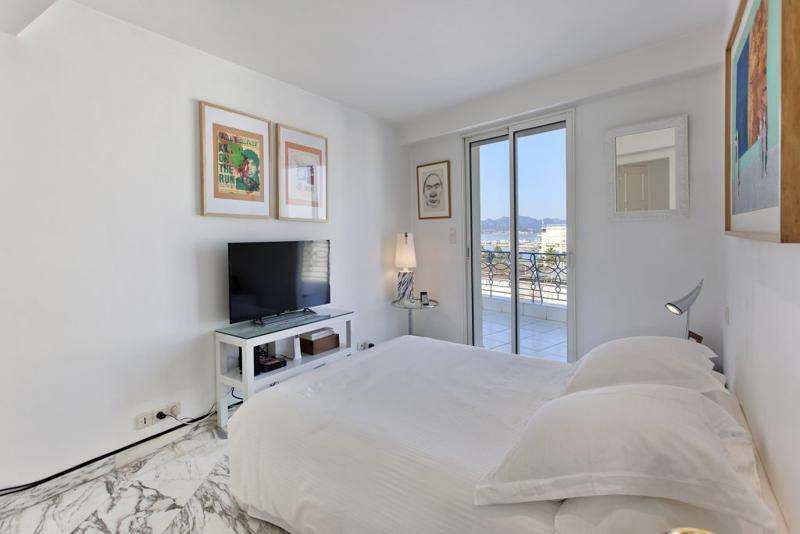 This 1-bedroom, 65m2 Cannes apartment is ideal if you are attending a conference or festival, as it’s only a 10-minute walk to the Palais des Festivals. 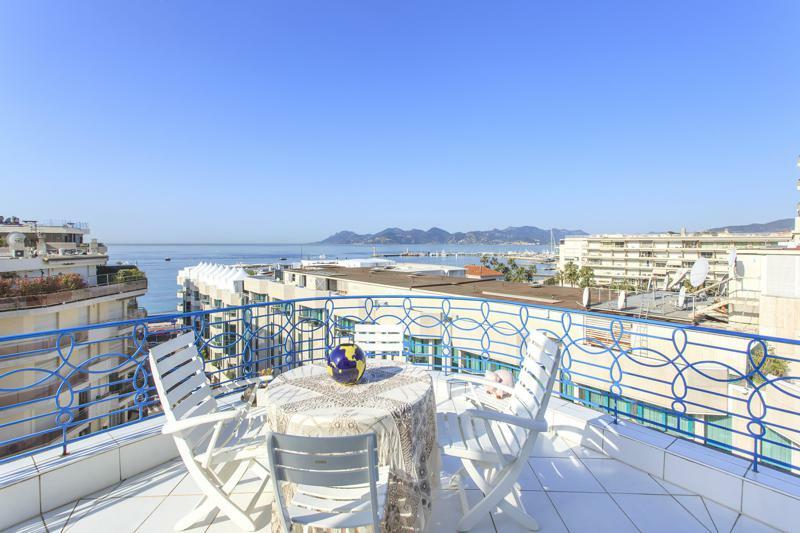 It's located close the Grand Hotel and is near to both shopping and the beach. 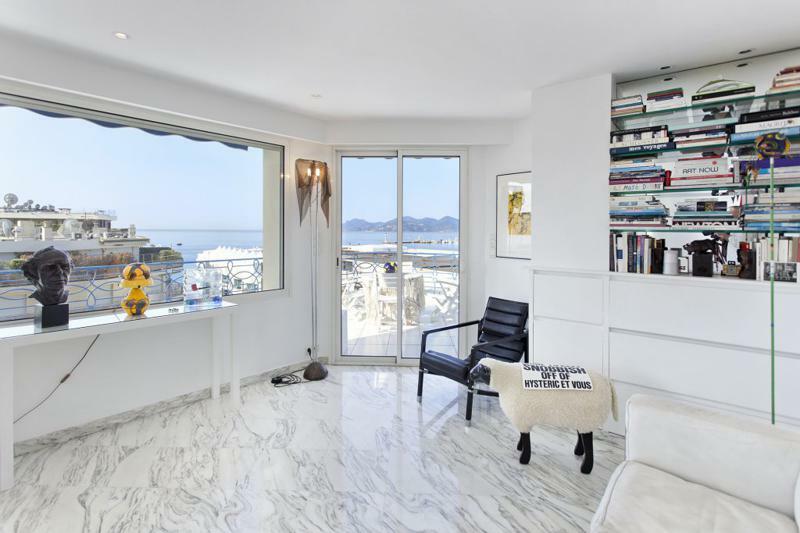 It’s on the top floor of a residence with an elevator and the views from this 7th floor apartment are incredible. 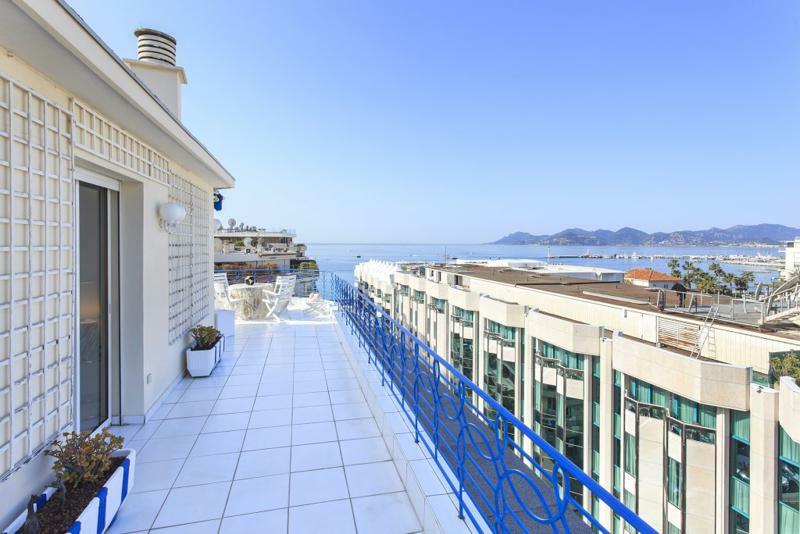 The U-shaped terrace provides you with a view of Cannes from all angles. 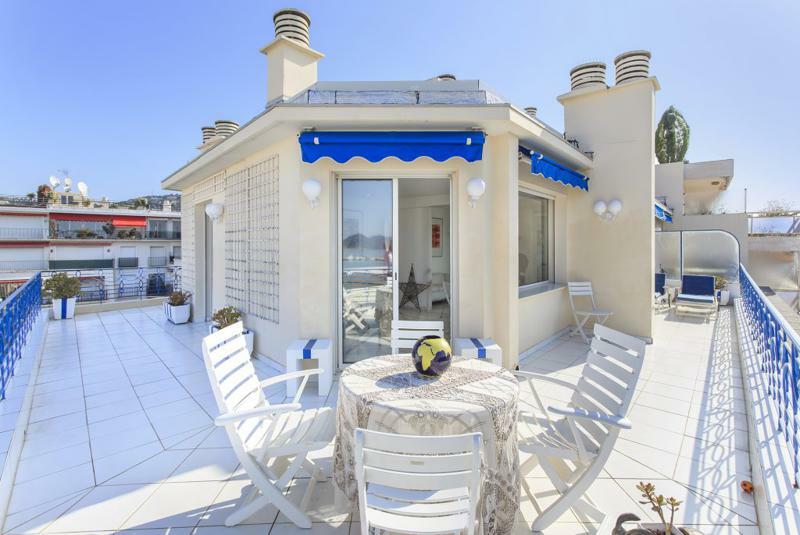 There are sunbeds and a patio set that seats 4 people so you can take in the sights of the city, the sea, and the mountains. 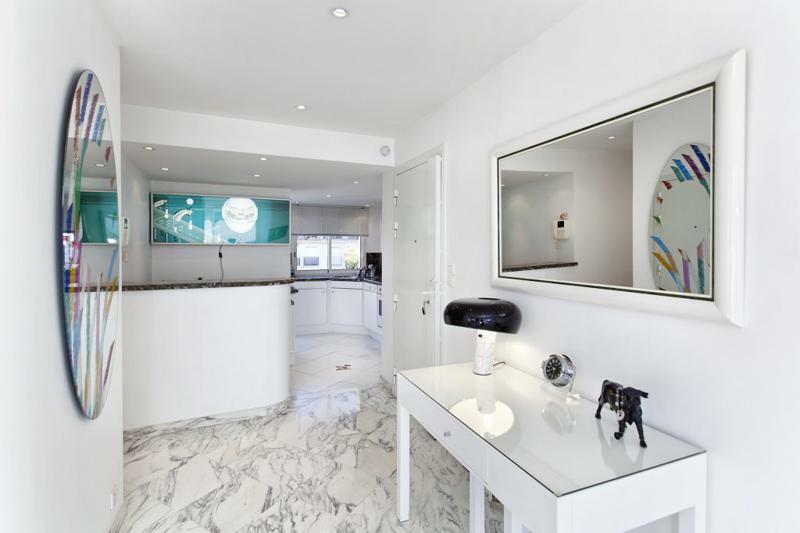 The white and blue decor will remind you of just how lucky you are to be in the French Riviera. 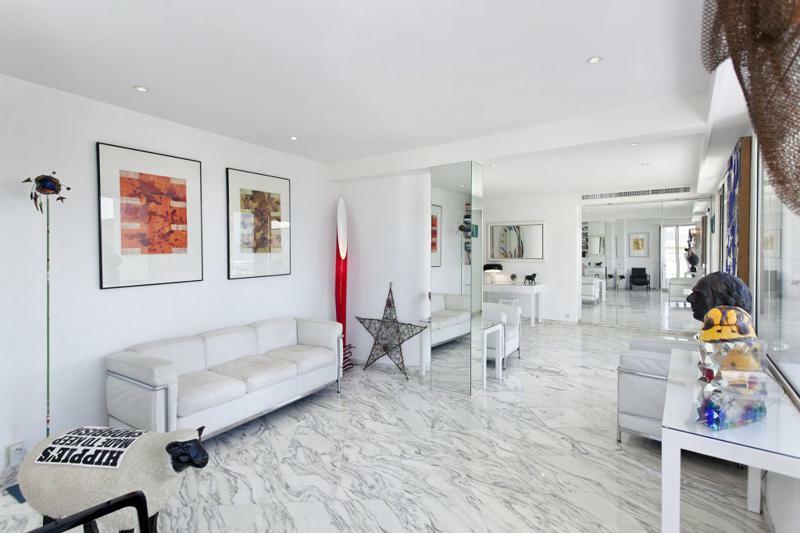 The entire apartment is decorated with unique artwork and the grey and white marble floors add a touch of class. 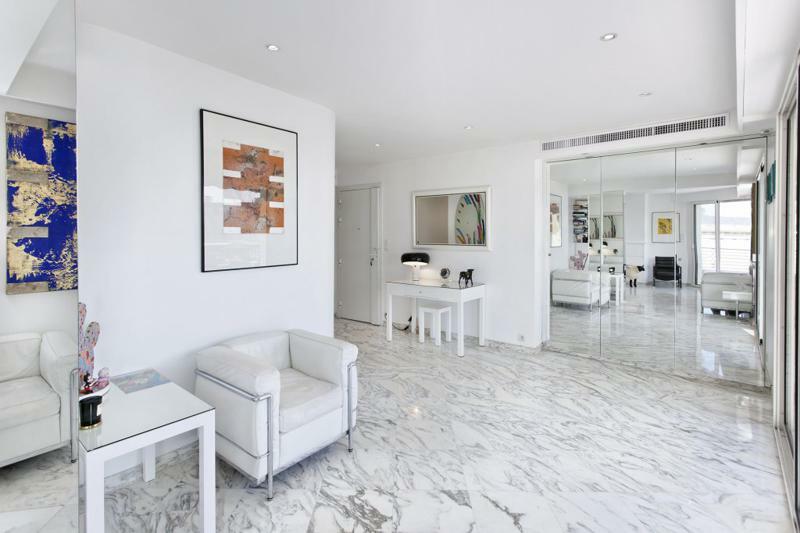 The living room has white furniture that includes a sofa and chairs and the floor to ceiling glass windows offer a view of the Mediterranian and access to the terrace. There is also a guest toilet in the entrance for your convenience if you have company. 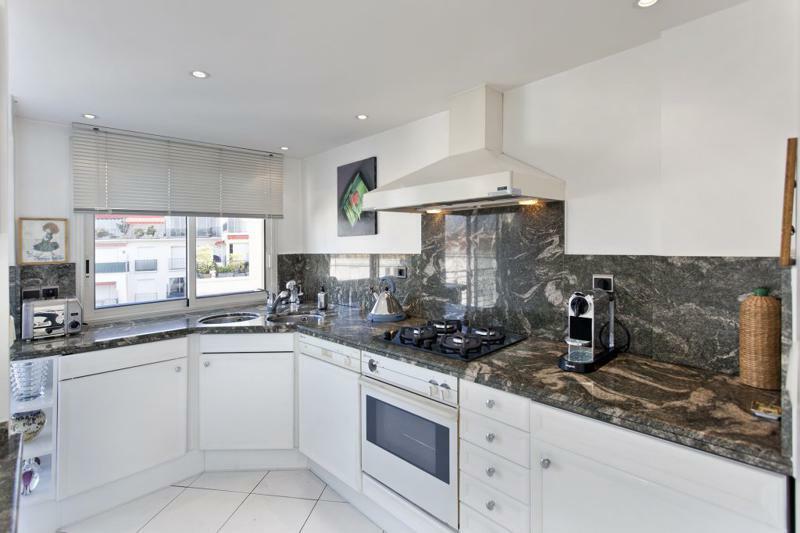 The modern kitchen is separate and comes with a fridge, oven, hob, dishwasher, washing machine, toaster, and coffee maker. The bedroom offers a double bed and comes with a flat screen TV. Laying on your bed you will still have amazing views of the sea and mountains. 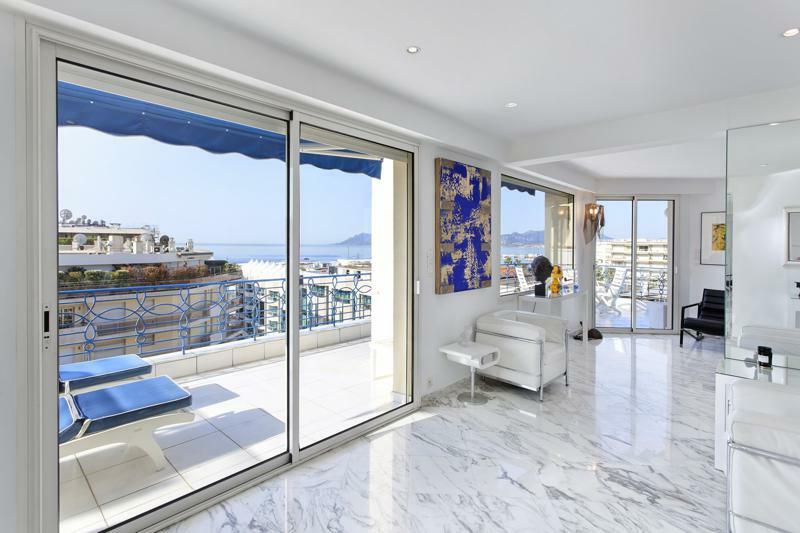 There is a sliding glass door with access to the terrace. 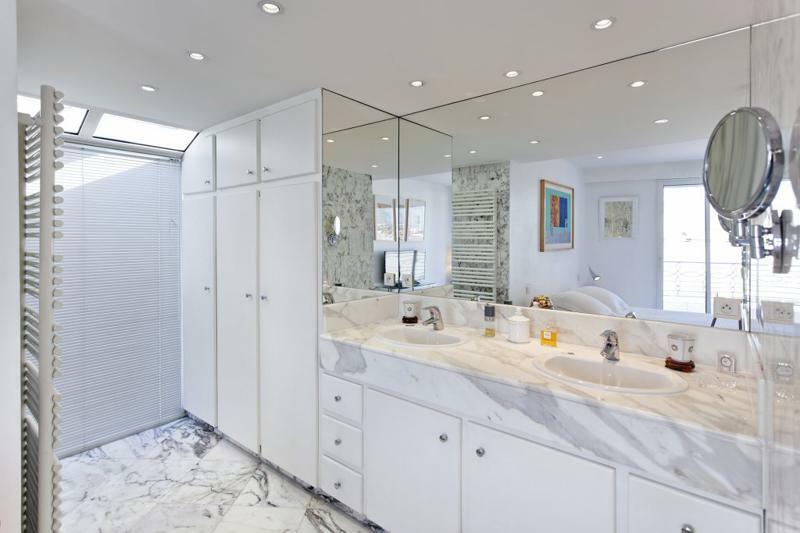 The ensuite bathroom includes a shower, toilet, double basin sink, and towel dryer. 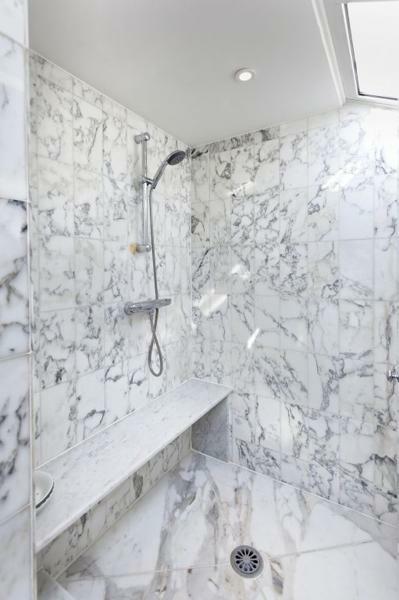 The apartment also comes with an interphone and electric shutters.